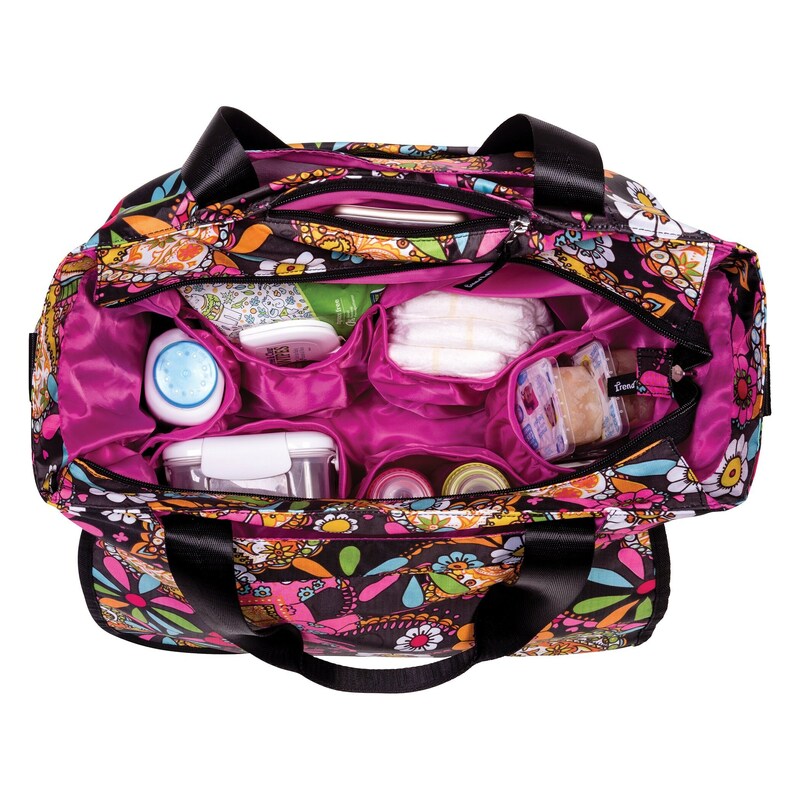 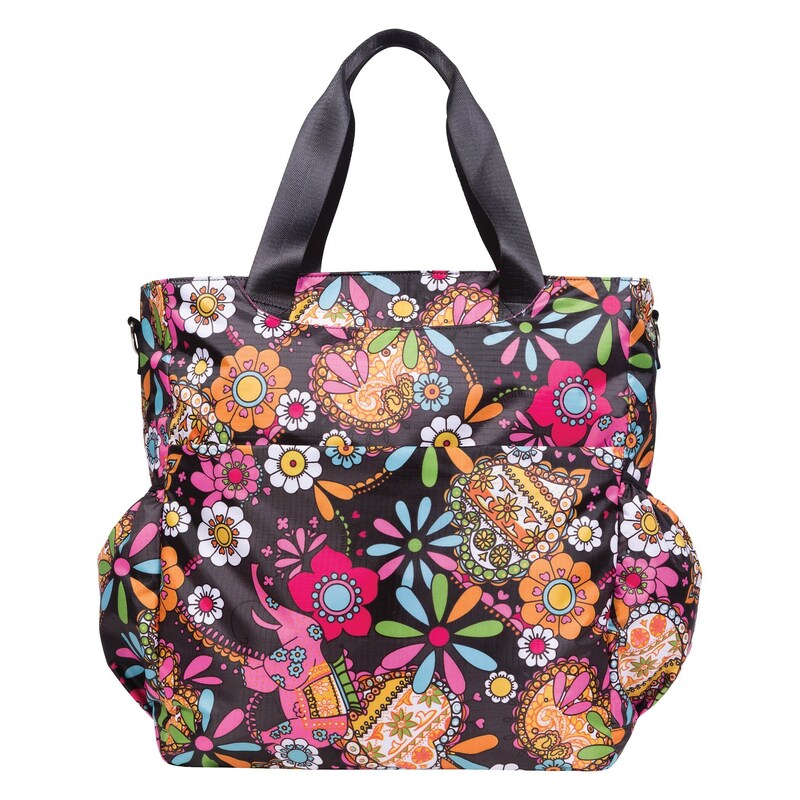 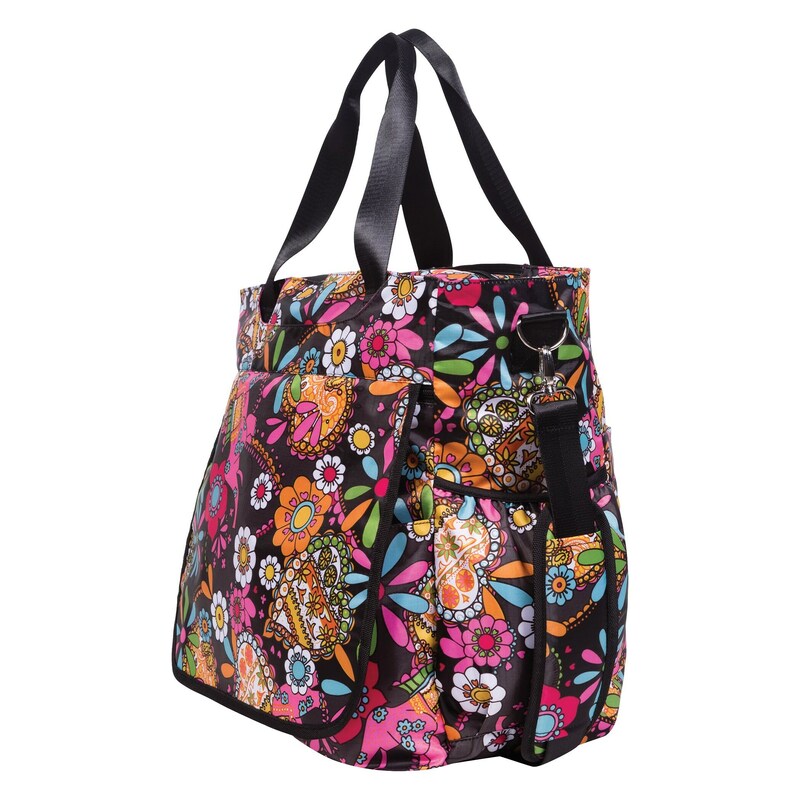 Add some style to your life with this must have, easy travel Bohemian Floral Tote Diaper Bag. 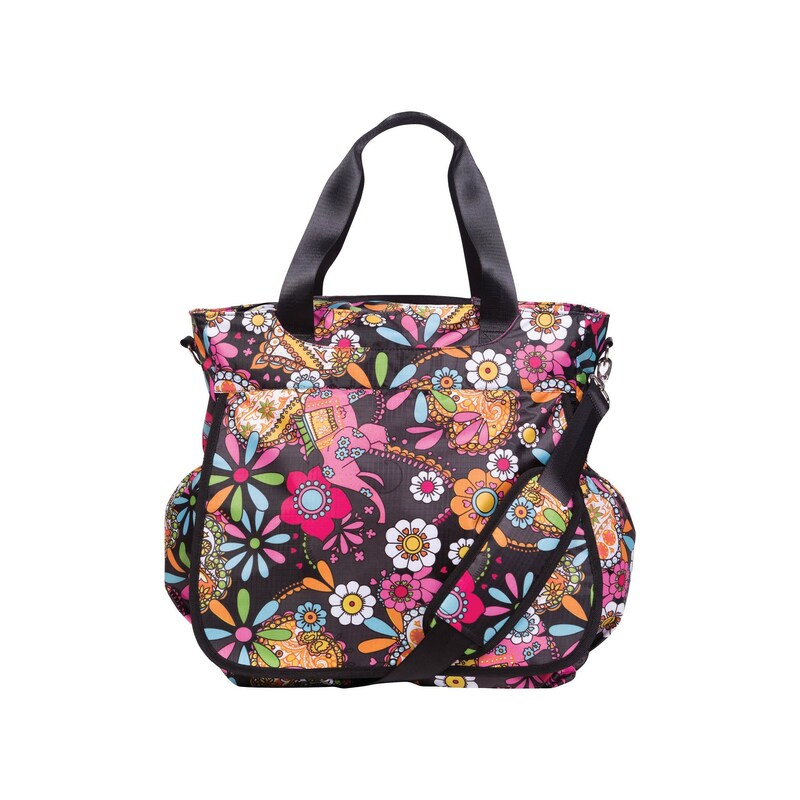 The Tote Diaper Bag is designed with 9 exterior pockets and 7 interior pockets allowing room for diapers, formula, wipes, bibs, a fresh outfit and all of your essentials organized. 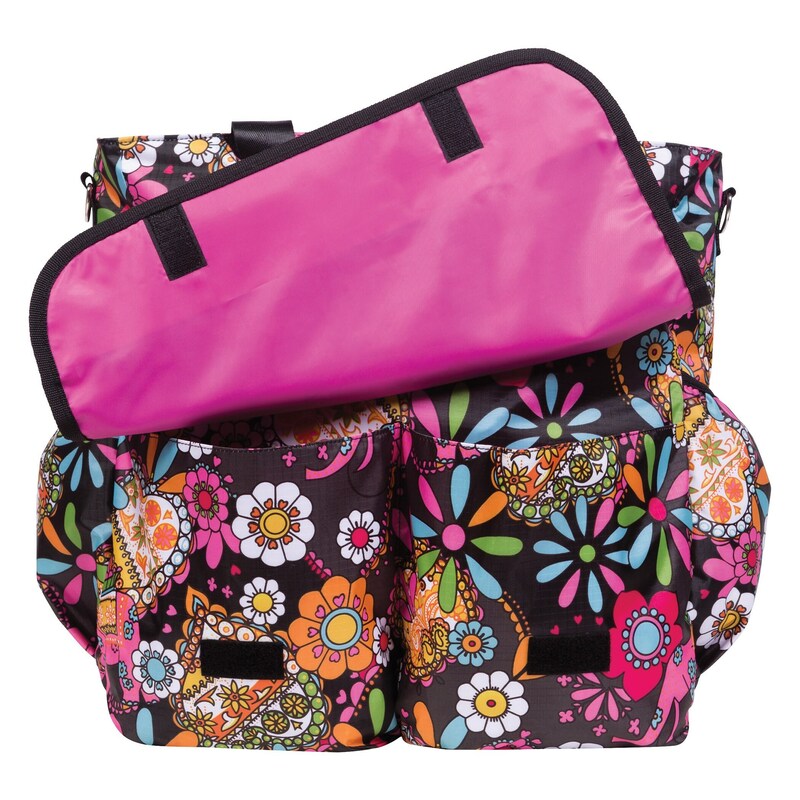 The ripstop fabric is highly durable, lightweight, easy to clean and features a colorful bohemian floral print on a charcoal gray background with a coordinating fuchsia nylon interior. 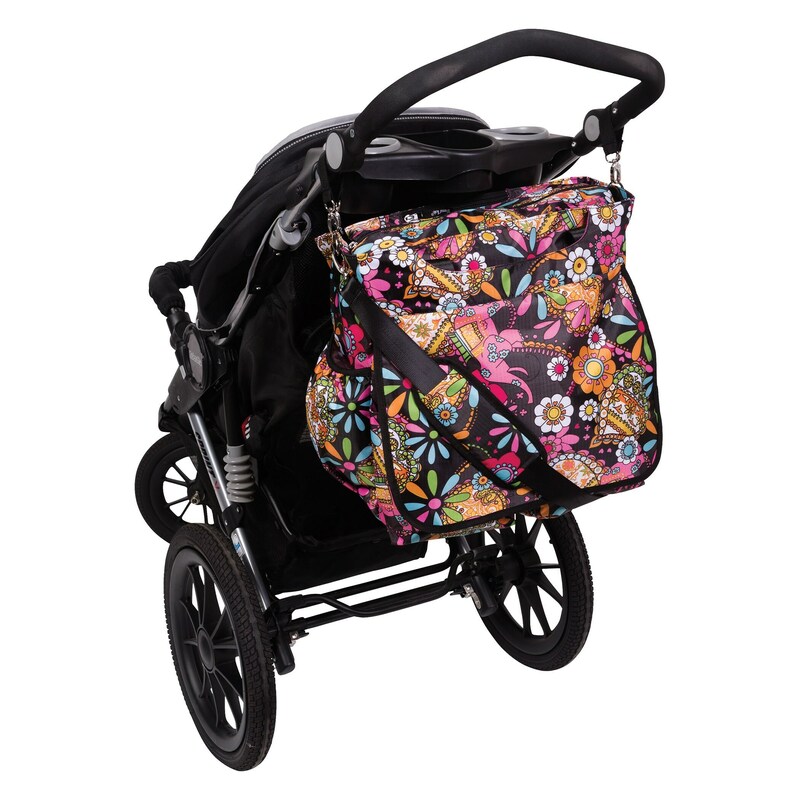 With removable stroller straps, stow away compartments for the tote straps and an adjustable and removable shoulder strap, the tote is made for multiple carrying options. 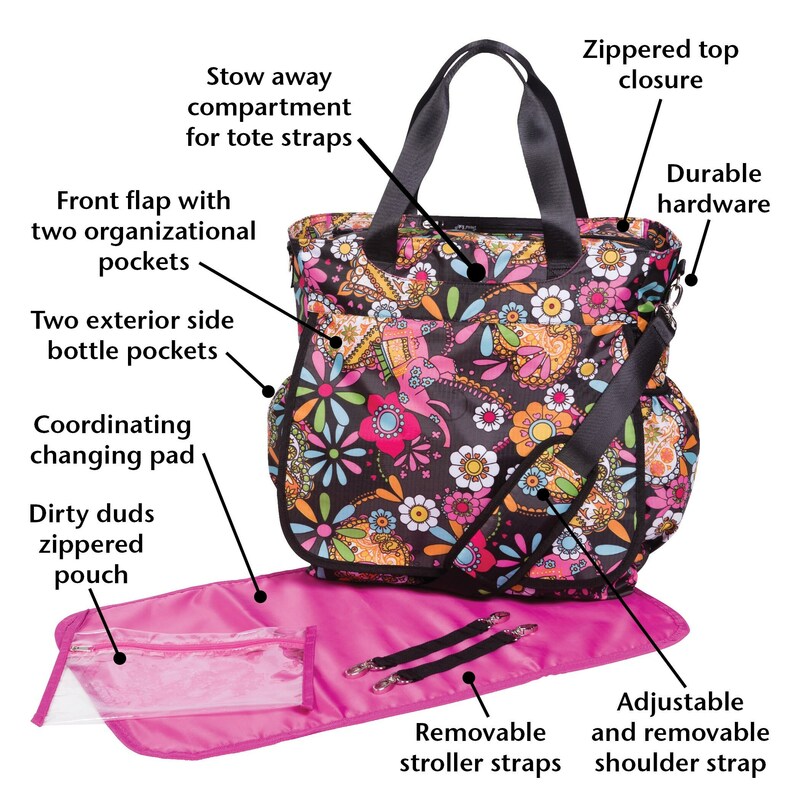 Set includes a coordinating fuchsia changing pad and a clear “dirty duds” zippered pouch. 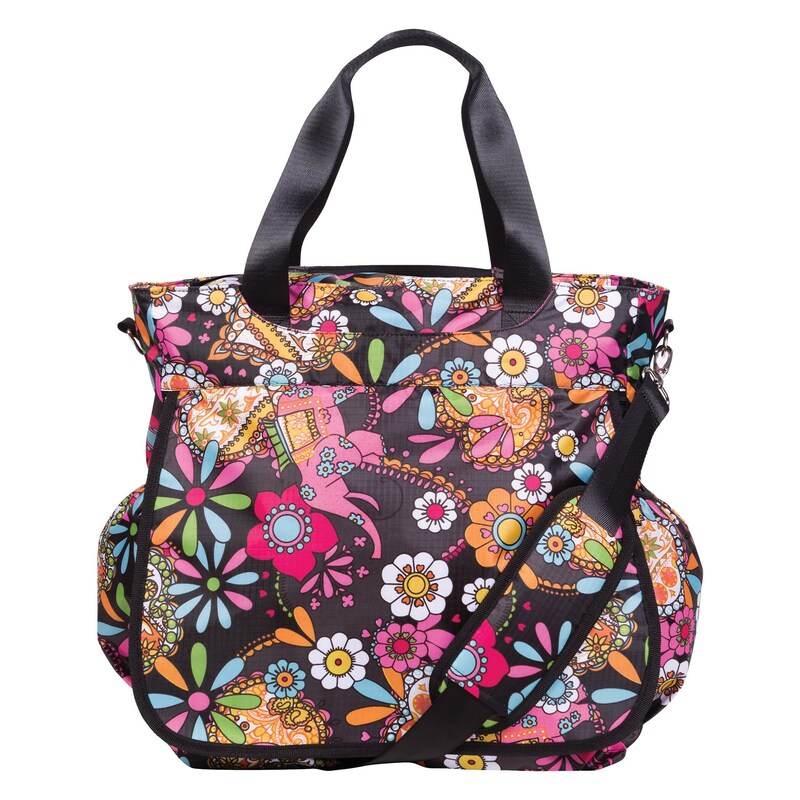 Tote Diaper Bag measures 15 in x 16 in x 6 in.